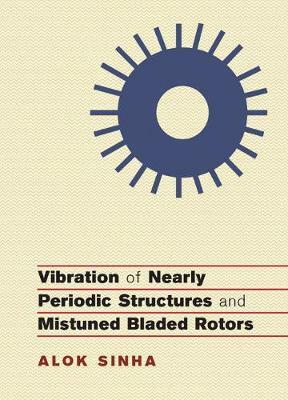 This is the first comprehensive volume on nearly periodic structures and mistuned blade vibration. Alok Sinha presents fundamental concepts and state-of-the-art techniques in the analysis of free and forced response of a nearly periodic structure, weaving together his own work (covering thirty-five years of research in this field) with works by other researchers. He also discusses similarities between tools used in bladed rotor analysis and condensed matter physics. Specific subjects covered include the reasons behind mode localization, the reasons behind amplitude amplification of steady-state response, state-of-the-art computational techniques for mistuned bladed rotors including multistage rotors, identification of mistuning from measured response, vibration localization in linear atomic chains, and analysis of two-dimensional periodic structures.